Foppen Bibl. 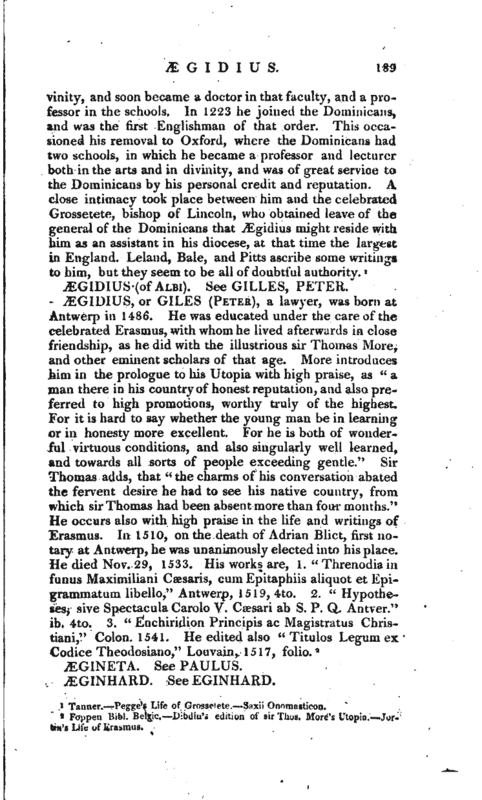 Belgic.—Dibdin’s edition of sir Thos. More’s Utopia.—Jortin’s Life of Erasmus.